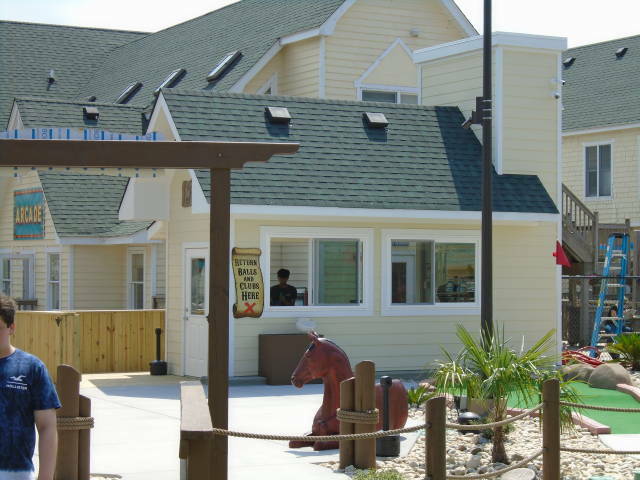 The Outer Banks is our home and we wanted to give back to the community. 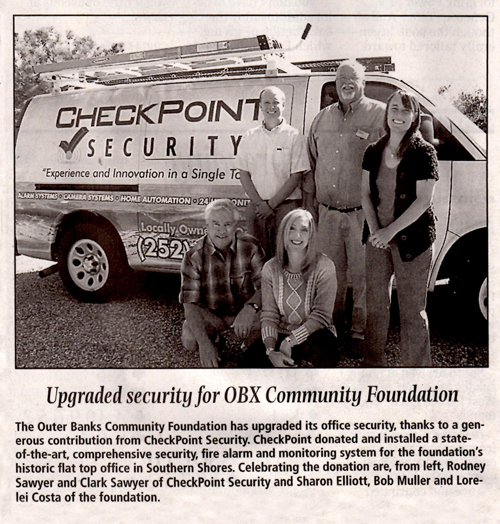 We were honored to provide the OBX community foundation center with a security and camera system to help safeguard the building and staff. 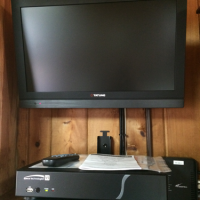 This is the operations center for a camera system. 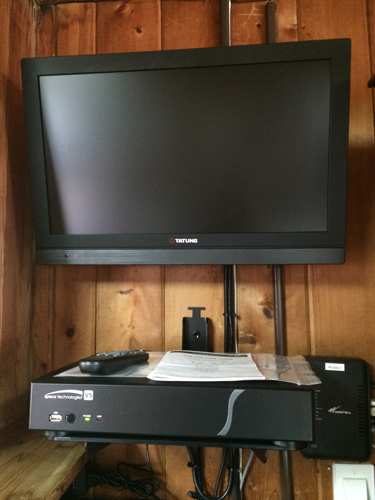 We have a high definition monitor and camera recorder that is mounted at eye level for the staff to review video. 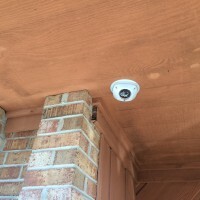 They can also view the security cameras anytime through an app on their smart phone or tablet. 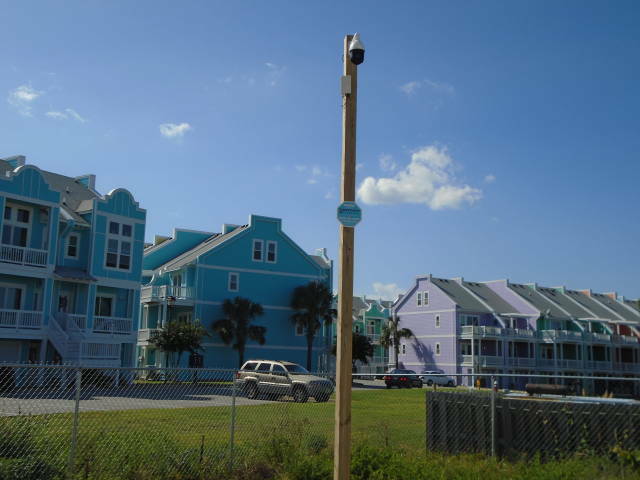 These rugged outdoor camera housings can withstand harsh environmental elements. Bring it on! 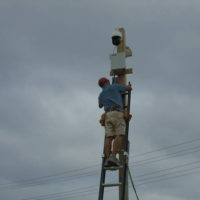 We had a welding shop design a custom aluminum “L” bracket that we mounted the cameras on to avoid drilling holes into the building. 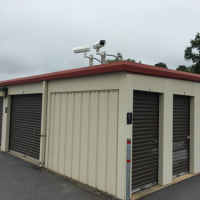 Theft at a local self storage facility prompted the owner to beef up security. 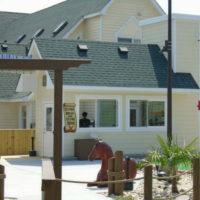 The camera on the right is recording all traffic passing through the front gate. 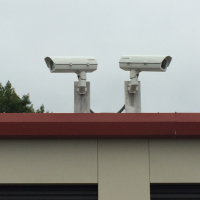 The camera on the left is recording all activity on the parking lot. 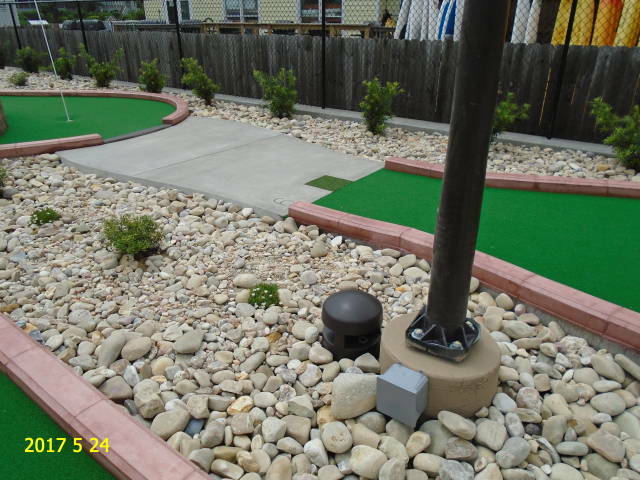 Vandal Resistant dome camera with infrared illuminators for night time viewing. 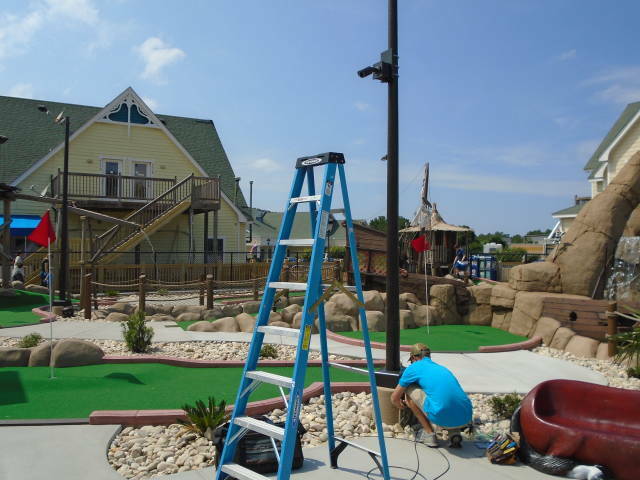 The powerful infrared illuminators are capable of viewing images up to 75 feet even in pitch darkness. This camera can withstand blows from a baseball bat! 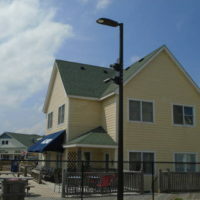 IP video camera installed at a local business on the OBX. 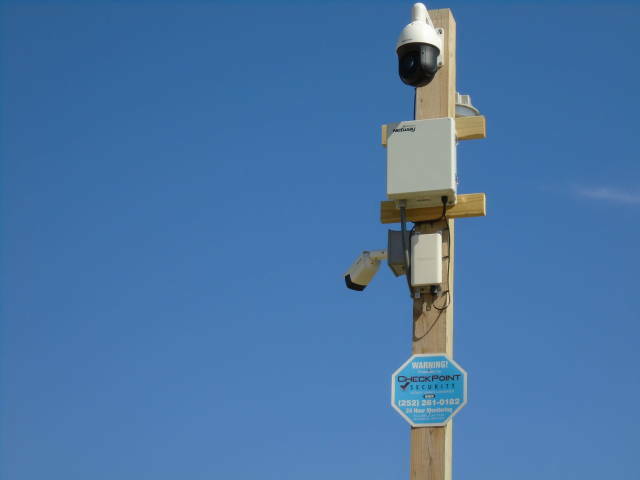 IP cameras offer high definition video resolution for capturing a license plate or a person’s face. 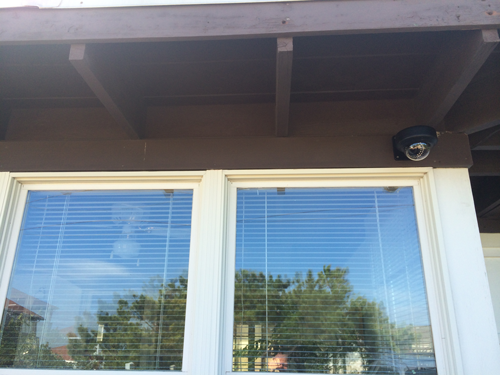 This indoor/outdoor camera is vandal resistant and great for home or business surveillance applications. 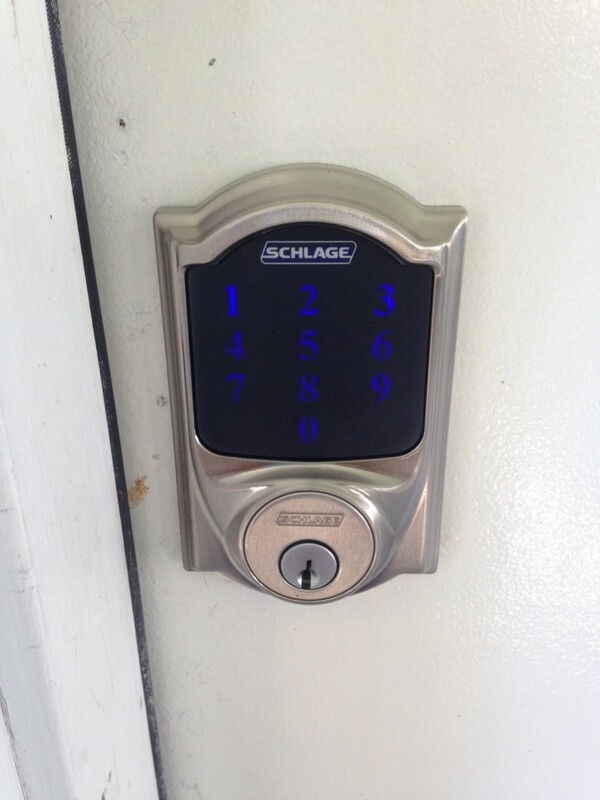 We can replace any traditional deadbolt with an electronic touchscreen lock. 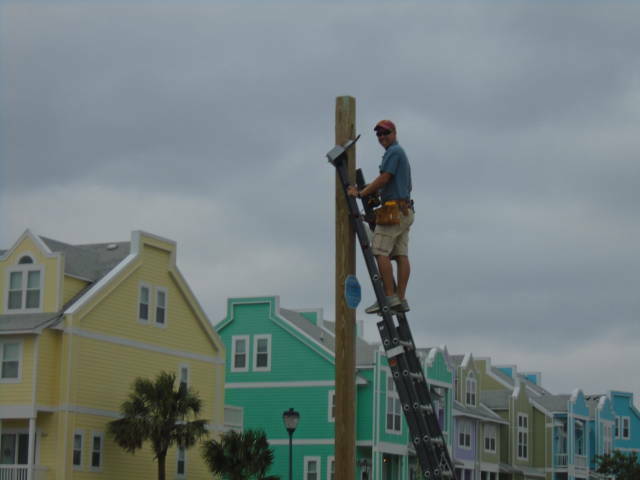 Installation is usually simple with no drilling required and only minimal adjustments needed for smooth operation. 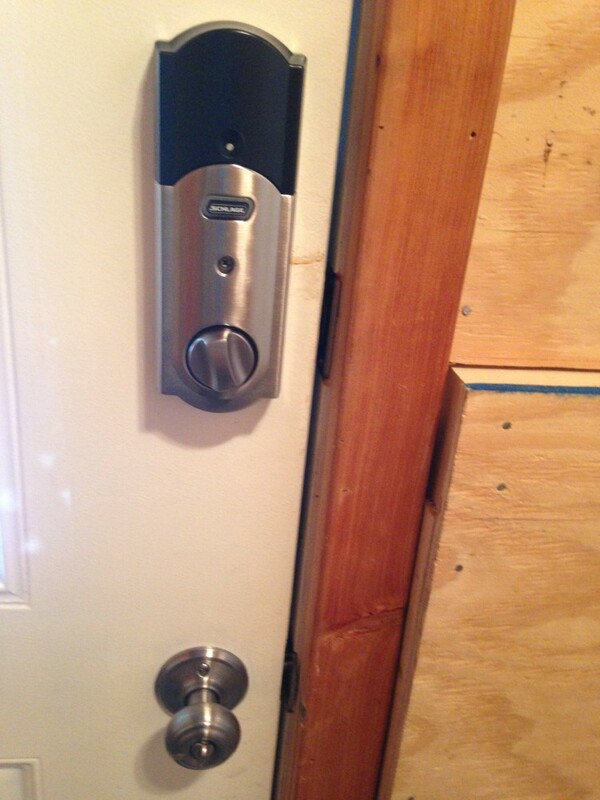 We can even have a locksmith rekey the new lock to work with your existing key. 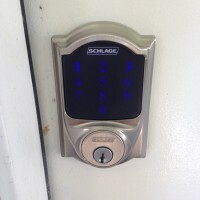 The Schlage BE469 Z-wave electronic door lock can integrate with a CheckPoint Security system. 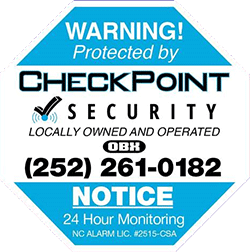 Homeowners can control their alarm system and door locks all through one mobile app. 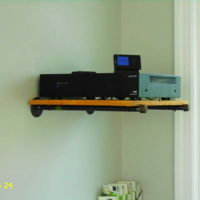 This homeowner receives a text message whenever his house cleaner arrives or leaves the home. 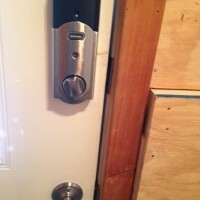 They are also able to tell if the door is locked, unlocked, and view battery life through alarm.com. 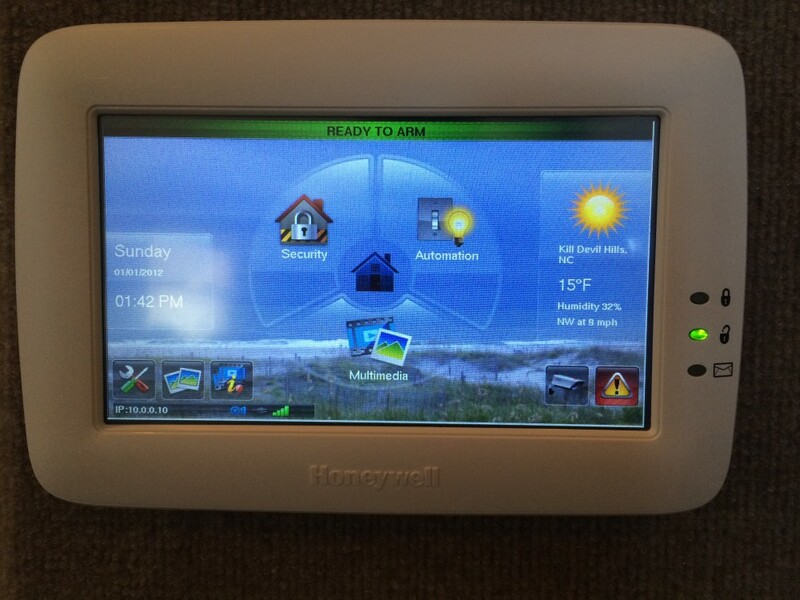 Honeywell’s Tuxedo keypad features a 7″ touchscreen and even serves as a digital picture frame when not in use. 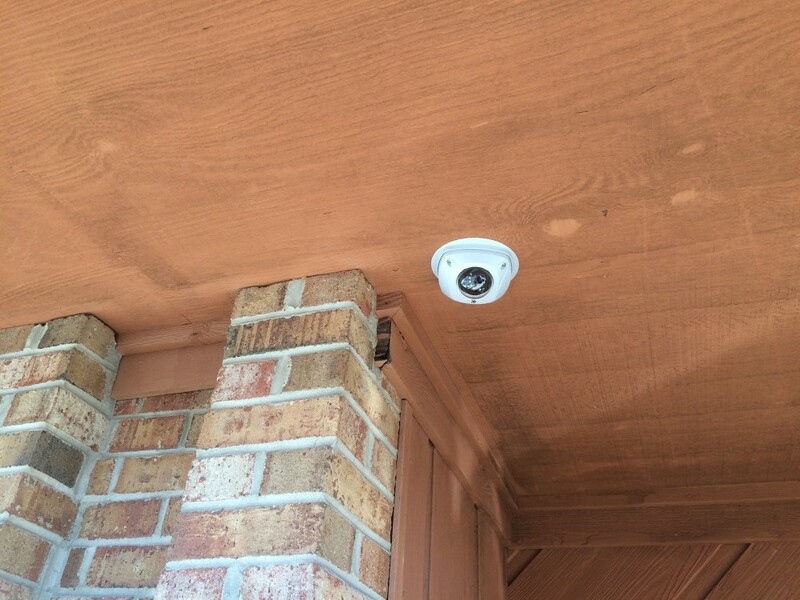 View up to four wireless IP cameras in your home through the keypad. 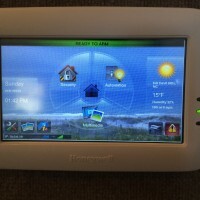 Control z-wave enabled devices like lights, locks, and thermostats through the automation icon on the keypad. 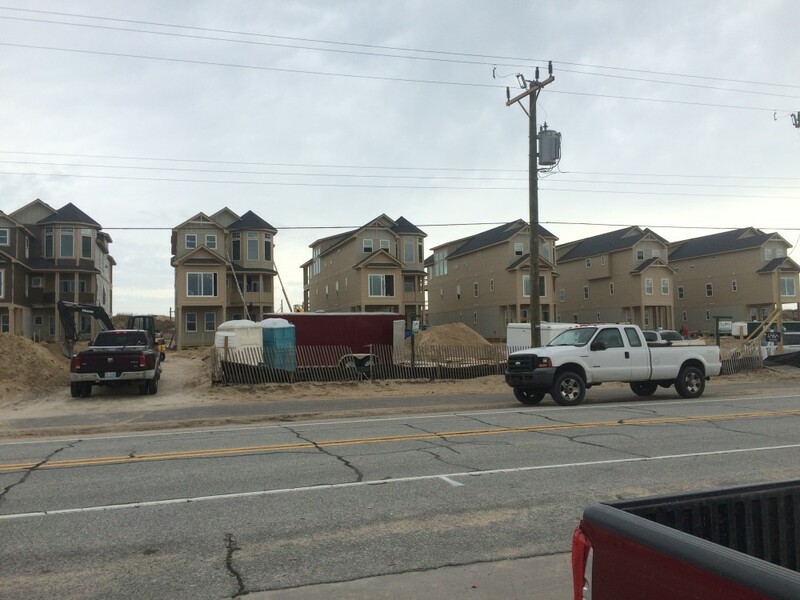 Security pre-wiring recently completed on six ocean front homes on the beach road. 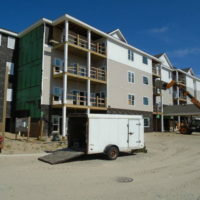 Homes built by Saga construction. This is a job we completed in June this year, 2017. 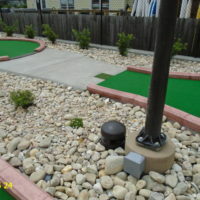 It is a putt putt golf course in Corolla. 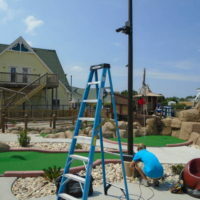 We put in a video surveillance system and an audio system throughout the golf course. There were a total of 9 outside rated ground level speakers. All of the speakers are tied back into a central receiver located at the check in booth. 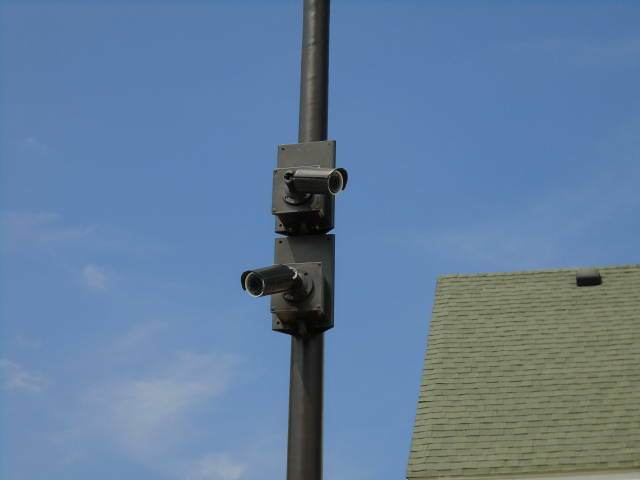 We installed 4 outside rated bullet cameras mounted on select light poles with specially ordered brackets to mount them on. 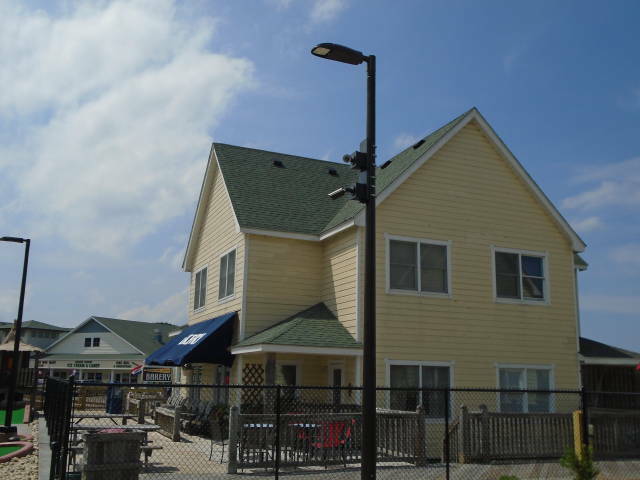 We painted the cameras and brackets to match the color of the light poles and speakers. 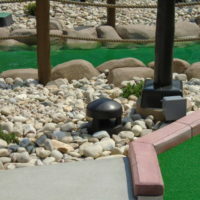 There is live and recorded video coverage of the course. 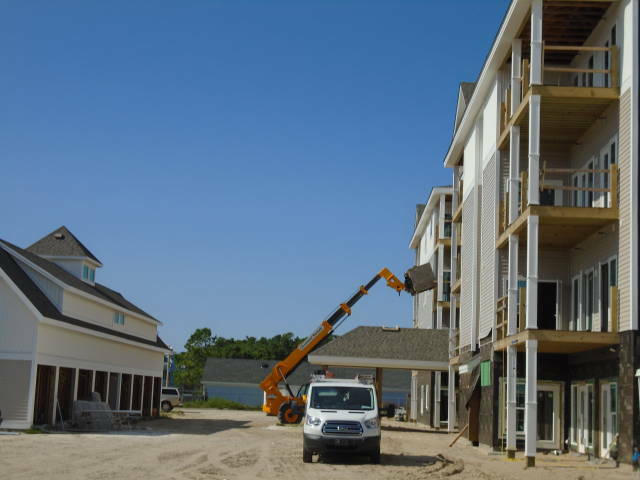 If there is an incident, management can play back video to help determine what happened. 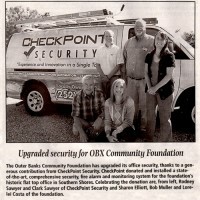 We also installed cameras inside the check in booth to cover the activity in that area. 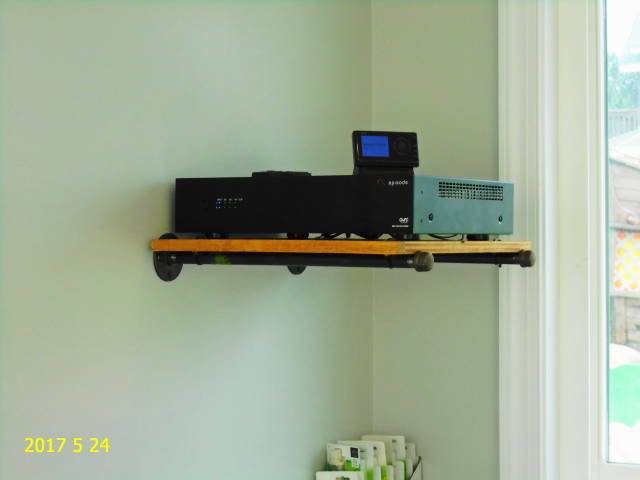 All the video and audio wire is ran underground through electrical conduit. 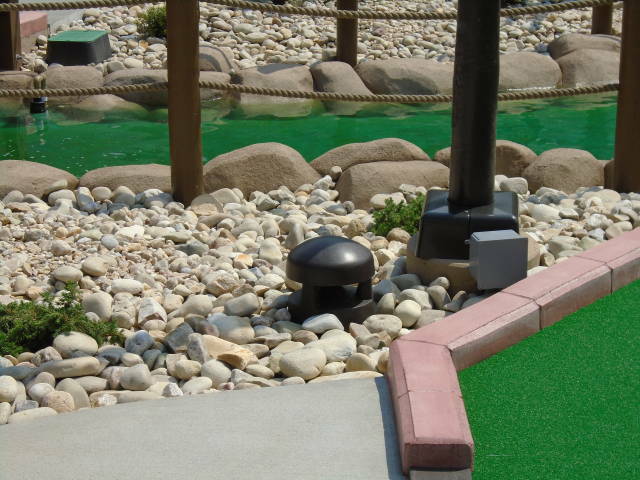 The wire is specially rated for underground installation. 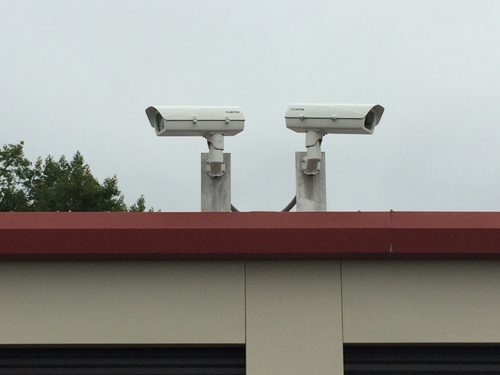 These are two PTZ(pan,tilt,zoom) cameras we installed at a jobsite for SAGA. 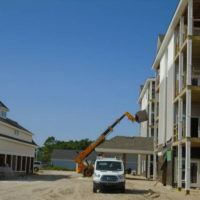 They are building luxuary apartments by Bermuda Bay off Colington Road. 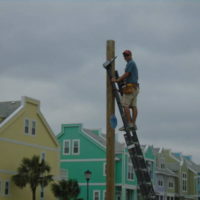 The cameras are mounted on 6×6 post and are up 15 feet in the air. They currently cover phase one of the construction. 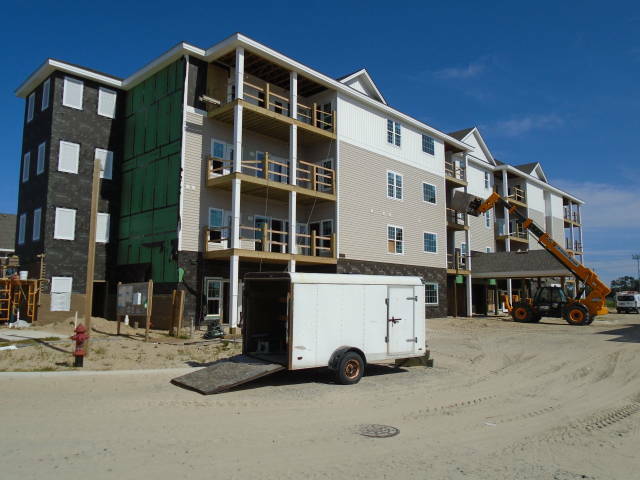 There will be three phases and the cameras can be moved around the jobsite at different phases of construction. 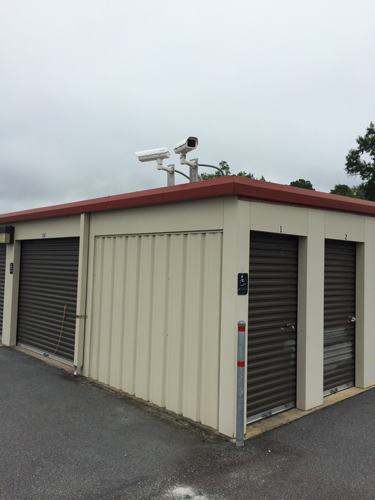 The cameras don’t have long runs of cable to send an image, we use access points and beam the signal across the jobsite to a DVR(digital video recorder) housed in a nearby storage building. 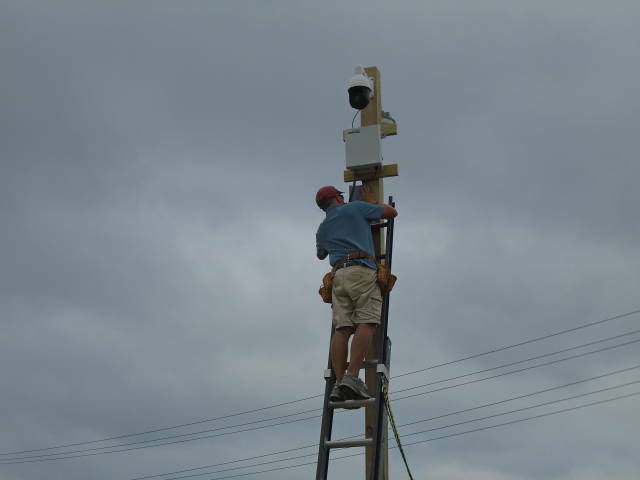 You can see Clark up on the post mounting equipment, and programing the cameras. 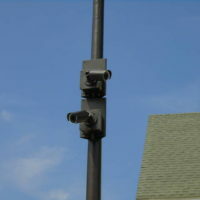 These are IP, high resolution cameras. 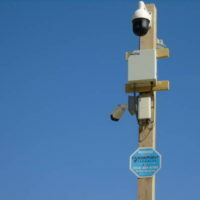 SAGA management is able to pull the cameras up on their smartphones and also they can view the cameras live from the office on a large flat screen in their conference room. They can literally see the job, live from their office. 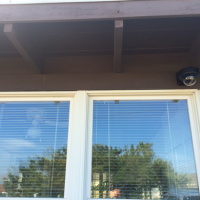 The cameras are a big deterrent to jobsite theft and vandalism. 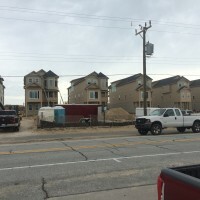 About two to three weeks of camera footage is stored on the DVR and can be played back if there is an incident at the jobsite and can be shared with police if necessary. 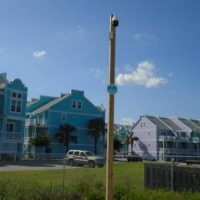 The cameras can pan 360 degrees, and zoom in, and can be controlled through an app on management smartphones.